I had wanted Kevlar Jeans for some time but there was always something else more important and more necessary to buy. There was also the problem of fit. When ever I did try any on the fit was rather awful. 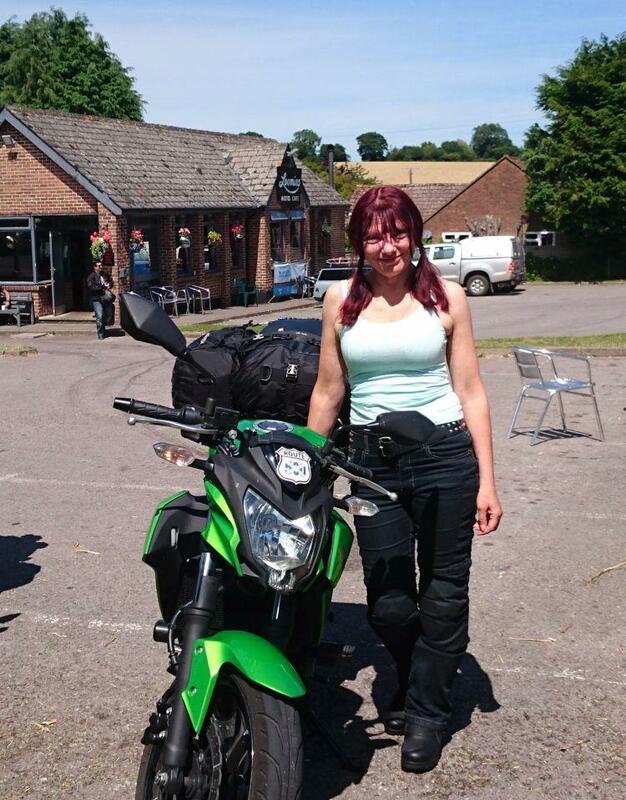 May 2016 saw me waiting around in MCO (Motorcycle Centre Orrell) while my Kawasaki was being serviced. To kill time I had a good look around the clothing department. I tried on this and that and came across a pair of Route One Kevlar Jeans in a size 8. I tried them on and wow! Oh deary, deary me they were a fantastic fit and oh so very comfortable. Plus they were on sale, plus I get a 10% further discount because I bought my bike from MCO. How can a girl resist? Well not a girl like me so along with paying for the service I was also paying for some new jeans. I have owned the jeans for over 15 months so far and I absolutely love them. They are so incredibly comfortable to wear both on the bike and walking around when off the bike. I have found them cool enough to wear on the occasional hot days we have had in summer. Also I have found them warm enough to still wear during this rather cool September weather. I always wear base layers under my bike clothing as I find this helps to keep me cool in summer and warmer in winter while also reducing the number of times the jeans will need washing. Being so light and comfortable to wear they are now my preferred bike pants during the warmer months. I do swap over to my quilted warmer and waterproof Merlin textile pants for the winter. They are very true to size with the size 8 being my normal clothes size and these are a perfect fit. Although not super high waisted they are not too low and do not slide down your bum. They fit nicely on the hips and over the bottom. Not too low so your bum stays covered. I am only 5 foot and I have the regular length jeans which are around 30 inches in length. I did not know at the time I purchased mine that they also come in a short version which may have been better for me. 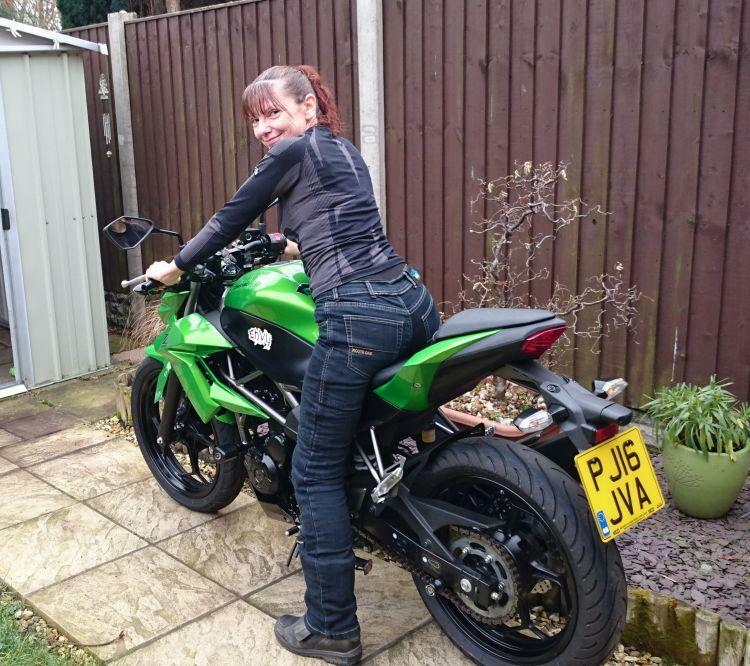 That said I have never had a problem with the length of the jeans as I wear them with bike boots and the knees pads are in the correct area for me. My Olivia Jeans are midnight blue which seems to be advertised in most places as black but it is definitely a dark blue rather than black. They also come in a lighter blue. 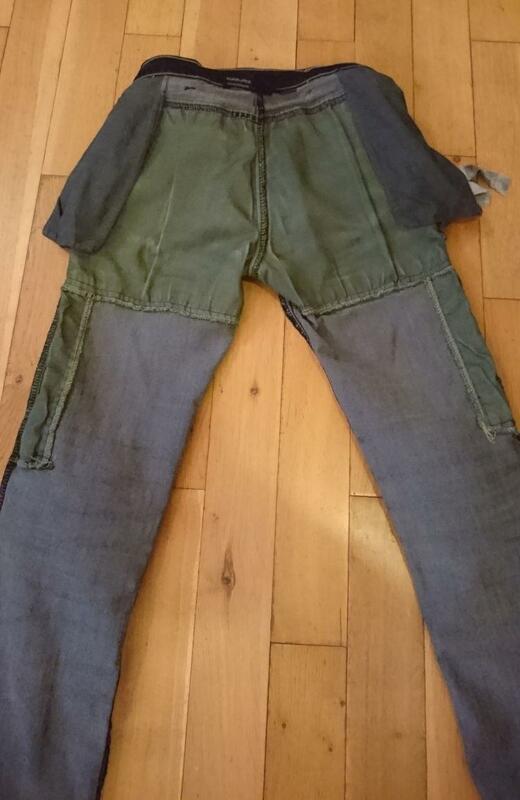 The average price seem to be around £99.00 The only thing I do not like about these jeans is that the Kevlar is not full length but only in the key impact areas. I would feel better if they were fully Kevlar lined. The Kevlar Lining is only in key impact areas and not full length. After 15 moths these jeans are still in tip top condition. They have not faded in the sun nor has any stitching come lose (A problem some popular black Kevlar leggings seems to be suffering from). I cannot vouch far their abrasion resistance however and I hope never to be able to do so. 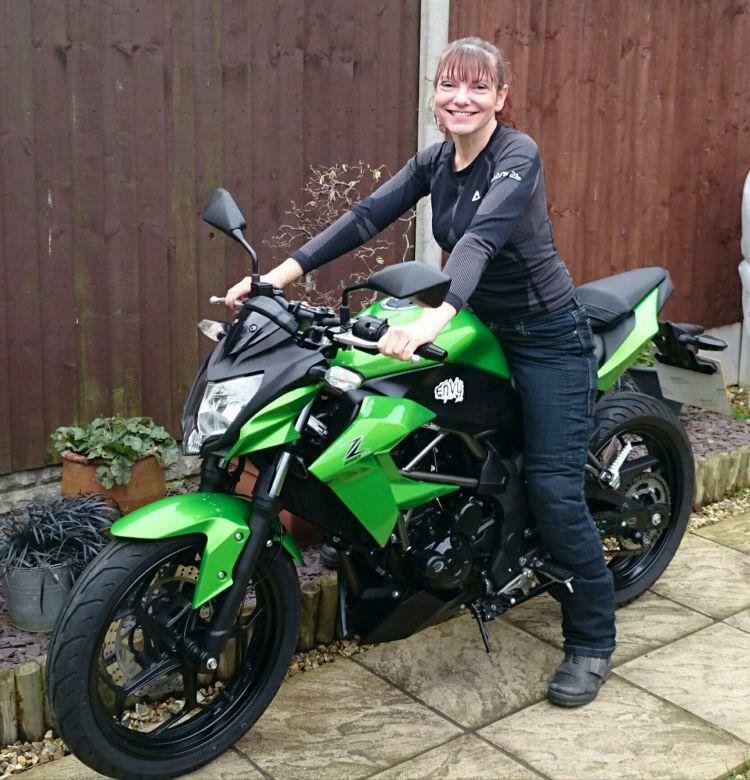 The ladies Olivia street jean has been specifically designed for the lady rider or pillion who wants all of the protection found as standard in the Route One line up, with great current styling and look on or off the bike. The jean has front & rear pockets and the usual high quality details such as branding on rear pocket with a coin pocket and belt loops. Beyond great styling the jean comes packed with protection to all critical areas and pre-fitted with CE approved armour to knees. We have prepared hip pockets for fit [if desired] of aftermarket CE hip armour. The hip armour can be purchased separately. This jean has a protective lining to impact areas made of 100% DuPont™ KEVLAR® Fibre. 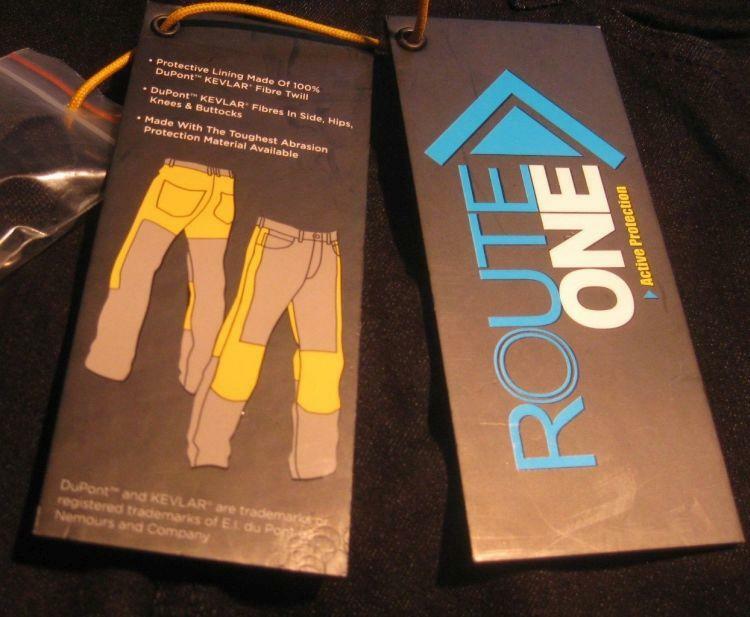 So would a recommend the Route One Olivia Ladies Kevlar Jeans? 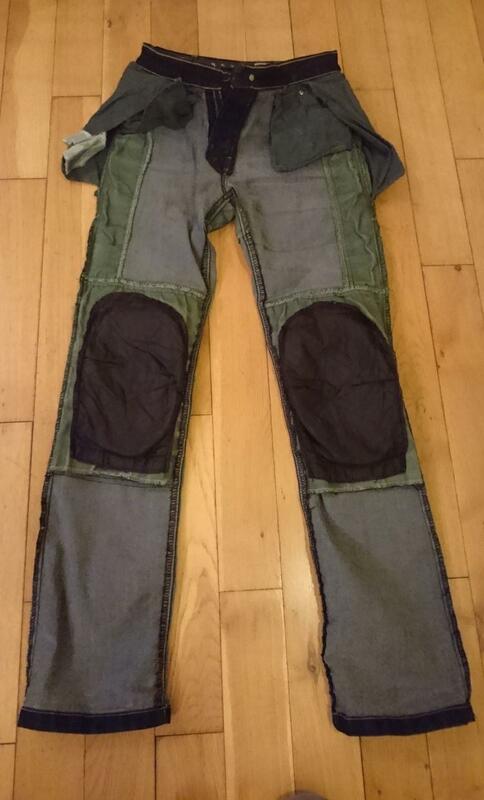 Well if you want a pair of Motorcycle jeans that are comfortable with a great fit and a reasonable amount of protection that yes these certainly fit the bill. I give them a 8 out of 10. If they had full length Kevlar lining then I would give them 10 out of 10. You cant not beat these jeans for the exceptional comfort they offer. They really are a joy to wear.